God has commissioned This Is Your Season Ministries to SHARE THE LOVE OF GOD not just locally, but all over the world. Our heart is to minister the gospel to those who have never heard it, to strengthen and encourage pastors and church leaders, and to share the Love of God with all we meet. 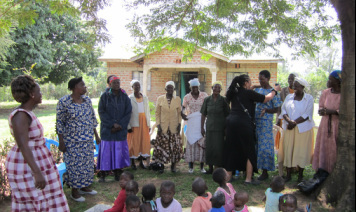 We desire to help with the spiritual and physical needs of those we visit. We are only able to do these things through the donations of God's people. We usually travel to some of the poorest areas of the world, so we must raise money for all of our expenses as well as helping the people in those countries with some of their physical needs. You can help in small or large ways, but everyone can help. First of all, we need your prayers for each trip. Second, we would like you to pray and ask God if He would like you to come on one or more of these ministry trips. Third ask God how you can financially help support this part of the ministry so we can bless those in need all over the world. We need funds or mileage for airline tickets, local transportation, lodging, food, and unexpected expenses. Please email us at thisisyourseason@yahoo.com for more information. Click here to donate towards our upcoming mission trips.